The lawn services at Westfall Exteriors will make your lawn the envy of the neighbourhood. From simple maintenance to extensive landscape design projects for residential or commercial clients, Westfall Exteriors does it all. We proudly service Edmonton and the surrounding area and offer no obligation free estimates for all projects. The list below outlines some of the lawn services offered by Westfall Exteriors. If you do not see what you need on the list, just contact us! A professionally landscaped yard adds so much beauty and value to your home. We enjoy creating landscapes we hope you will enjoy for years to come. 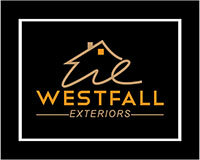 Contact Westfall Exteriors today or submit your request for a free, no obligation estimate. We think you’ll love the results.